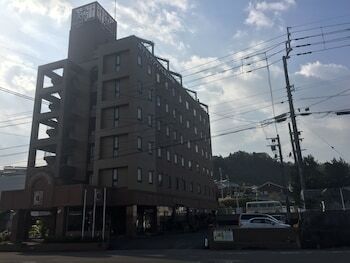 With a stay at Hotel Crown Hills Nakamura in Shimanto, you'll be steps from Ashizuri Onsen and a 4-minute drive from Fuba Hachiman Shrine. Featured amenities include complimentary newspapers in the lobby, a 24-hour front desk, and laundry facilities. Free self parking is available onsite. With a stay at this vacation home in Kyoto, you'll be within a 15-minute walk of Kyoto Tower and Higashi Honganji Temple. The front desk is staffed during limited hours. With a stay at Green Rich Hotel Tosu Ekimae in Tosu, you'll be within a 5-minute walk of Ryukyu Islands and Frespo Tosu. Free self parking is available onsite.